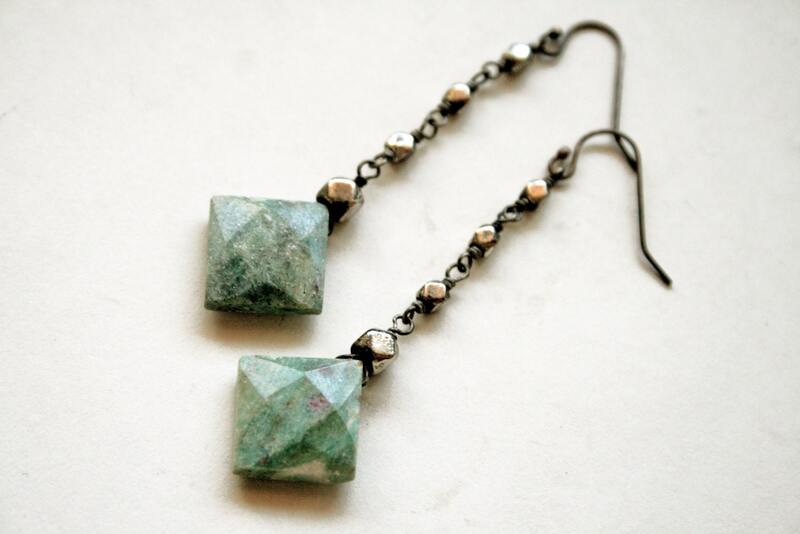 One pair of earrings, featuring sea green faceted ruby fuchsite stones, hanging from handmade silver plated beaded chain, on oxidized sterling silver ear wires. 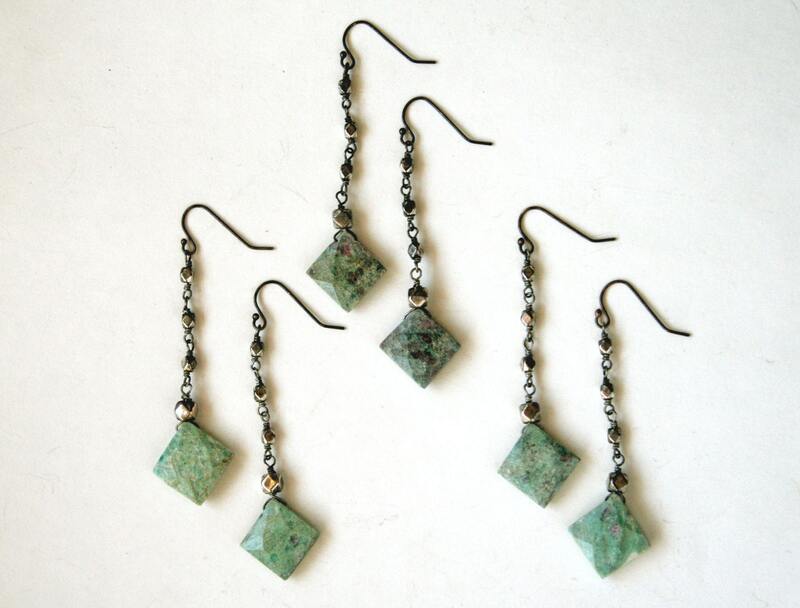 Total length of each earring is approximately 2.6" from the top of the earwire to the bottom of the drop. Very lightweight. 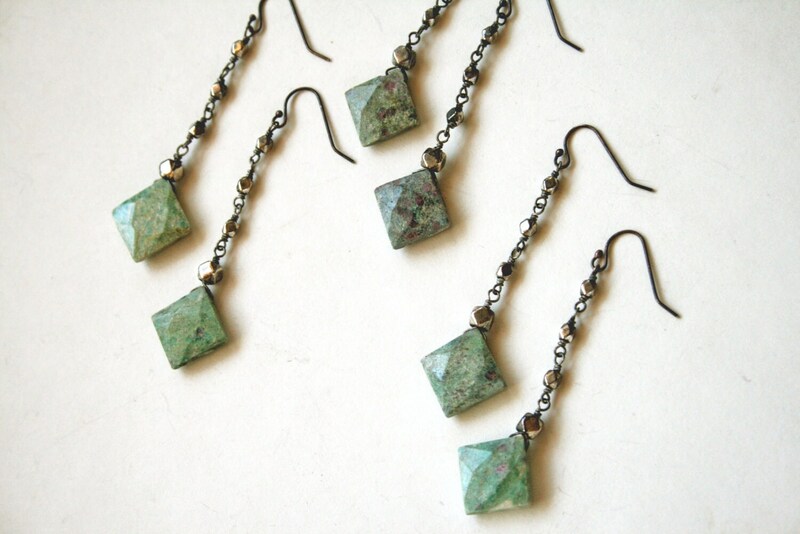 I've always wanted a ruby fuchsite stone so I'm happy I found these! 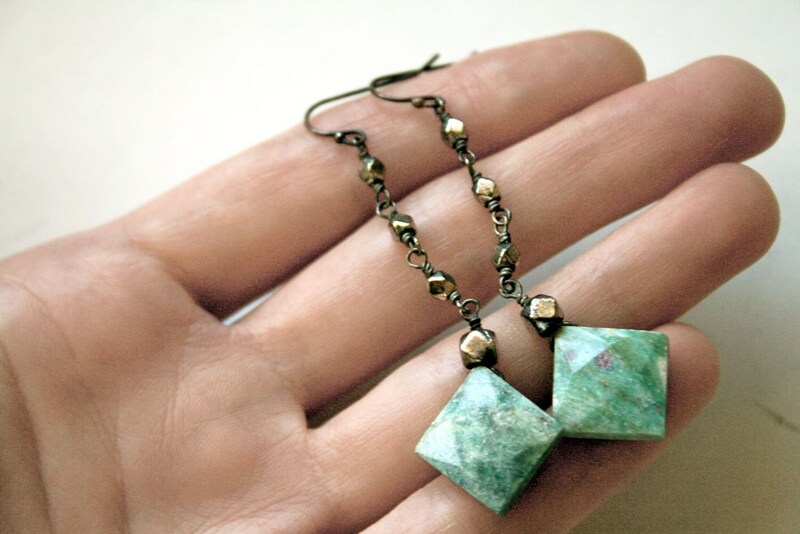 I never really wear earrings but I wear these all the time.